When it comes to brands most think Apple or Nike. What about a city? Recognized as the World’s Most Livable City and home to many world-class universities, Melbourne is as marketable as it gets. Apparently some smart marketers agreed when they shaped a brand out of Melbourne. First explored by Batman (John Batman, not the superhero) in 1835, Melbourne has turned into the second largest city in Australia. So many people are moving there that the city is estimated to one day surpass Sydney. What makes this such a lofty destination? Culturally, educationally and competitively. It’s all there. 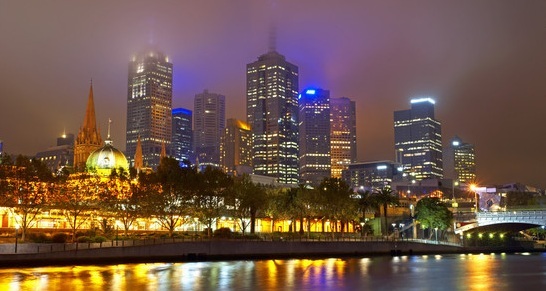 Melbourne was rated The Times Most Livable City in the World for 2011! Rated the Fourth Best Student City in the World for 2012. The sports hub of Australia. The Australia Open, Melbourne Cup, Australia Rules Football Grand Final and the Bell’s Beach Surf Classic all occur annually in Melbourne. Culturally rich with a huge live music scene across many venues. Lining the streets are world-class, affordable restaurants and cafes. Check out some food tips while Down Under. What institutions call Melbourne home? Ranked 31st in the world, the University of Melbourne is comparable to the US’ top research universities. The largest Australian and 60th world ranked uni, Monash University is also located in Melbourne. Other world class universities include La Trobe University, RMIT University, Swinburne University of Technology, Victoria University, Australian Catholic University and Deakin University. Monash makes it to 60th spot. Learn something new everyday.